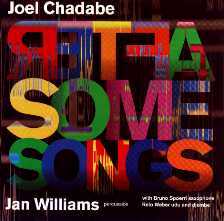 Joel Chadabe is an internationally recognized pioneer in the development of interactive music systems. As composer and performer, he has concertized worldwide with Jan Williams, percussionist, and other musicians since 1969. He is listed in the International Who's Who of Musicians and the Who's Who in American Music. 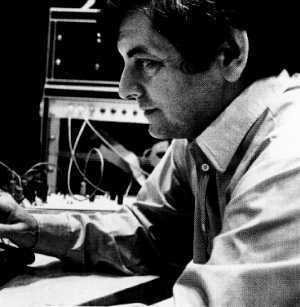 His articles on electronic music have appeared in Computer Music Journal, Contemporary Music Review, Electronic Musician, Perspectives of New Music, Electronic Music Review, Melos, Musique en Jeu, and many other journals and magazines, and several of his articles have been anthologized in books by MIT Press, Routledge, and other publishers. His music is recorded on Deep Listening, CDCM, Centaur, Lovely Music, Opus One, CP2, and Folkways labels. He has received awards, fellowships, and grants from the National Endowment for the Arts, New York State Council on the Arts, Ford Foundation, Rockefeller Foundation, Fulbright Commission, SUNY Research Foundation, New York Foundation for the Arts, and other foundations. He has been President and Chairman of Composers' Forum, Inc., in New York City. He is currently on the faculties of the University at Albany and Bennington College; President of Intelligent Music, a research and development company; and founder and President of Electronic Music Foundation. Mr. Chadabe has a B.A. degree from the University of North Carolina at Chapel Hill and an M.M. degree from Yale University.